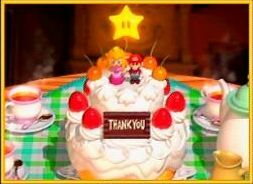 The Mushroom Kingdom has survived its first year! Amazing. I never thought it would've lasted this long. 41,000 hits in the first year of existence... not bad, considering the fact that I did almost nothing to promote the site (except for the NList thing around the beginning of 3/98). On 03.13.97 I got an account at GeoCities just to have server space to upload files to. Not long afterwards, I had an urge to create my very own home page. This meant learning HTML. I went to one of my friends' pages, copied the source and uploaded it. I messed with the page a bit, and eventually taught myself HTML. Now I knew HTML, but I still needed a page idea. I searched through my hard drive, and found a ton of Mario stuff that I had collected over the months. By 03.24.97 I had uploaded it all and indexed everything on a very crude website. I slapped on a GeoCities counter, and started spreading around my URL. Around this time I was doing daily updates, and I had attracted a small group of repeat-visitors. I submitted my site to Yahoo. About 2 weeks later, on 04.20.97, they added it. Later I submitted TMK to Hotbot, Webcrawler, Excite, Lycos, and AltaVista. I continuously added stuff to this site, and TMK has now grown into a huge archive that I can barely keep track of. If you haven't noticed, I've added a new section today: "Sub-Space." This division will be dedicated to Mario emulation. I've always wanted to do something concerning Mario emulation, but due to server space, or lack thereof, it wasn't possible. I will be working on Sub-Space a lot, so be sure to check back every now and then. I'll definitely be adding more reviews and game guides, as TMK seems to lack game help. Mario and all related characters are copyright � Nintendo.